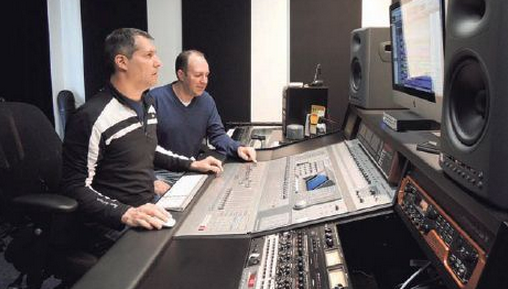 Entrepreneurs Glenn Fleishman and Alan Goodstadt have made a commitment to develop a chain of Bach to Rock music school franchises in the New York metropolitan area and beyond. 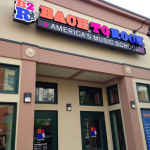 Bach to Rock, a music school franchise for students of all ages, will open two new schools in Syosset and Mamaroneck, New York in September. The schools are owned by current Bach to Rock franchise group Amplified Capital Partners Holdings LLC, which opened its first location in Port Washington, New York, in 2012. ACPH was founded by entrepreneurs Glenn Fleishman and Alan Goodstadt to develop a chain of Bach to Rock music school franchises in the New York metropolitan area and beyond. Bach to Rock will host open house celebrations at 103A Jackson Ave. in Syosset and at 130 Mamaroneck Ave. in Mamaroneck after the opening of each school. Families will be able to tour the schools, learn about individual lessons and group classes, check out the recording studios, meet the teachers and more. Bach to Rock’s schools in Syosset and Mamaroneck will offer a variety of programs for children and adults, including individual lessons, group classes such as Rock Band and early childhood programs for children as young as six months old. Additionally, both locations will offer a program for children with special needs that includes music therapy and adaptive music lessons. Led by a board-certified music therapist, the program aims to help children by using music to improve communication, social interaction and cognitive skills. With the addition of the schools in Syosset and Mamaroneck, Bach to Rock will have 11 schools open and 15 franchised locations in development across the U.S.
Fleischman and Goodstadt have an additional three Bach to Rock music school franchises planned to open over the next several years and are targeting additional locations in Nassau County and Westchester County, New York, as well as in Fairfield County, Connecticut. In 2014, Washington Family Magazine named Bach to Rock to its “Best for Families” list, and readers of Northern Virginia Magazine voted the company as one of the “Best of NoVa.” In 2013, Inc. magazine named Bach to Rock one of the fastest-growing private companies in America for the third consecutive year, and Franchise Times ranked the company on its Next 300 Franchise Systems list. The Washington Business Journal has also named the Bach to Rock music school franchise the number one company to watch. Bach to Rock is seeking qualified candidates to open franchise locations in major metropolitan markets throughout the country. The Bach to Rock music school franchise is an opportunity for entrepreneurs to build a business that is dedicated to helping children and adults learn to play the music they love. While music experience or ability is not necessary, candidates should bring strong business acumen and the ability to build teams to ensure the school’s success. Interested in starting a Bach to Rock music school franchise? 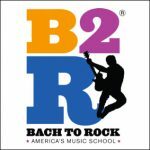 Bach to Rock is a music school franchise for students of all ages — from early childhood through high school and beyond. At Bach to Rock, we know that learning music should be fun and that students learn best when they play music they enjoy. We are one of the nation’s fastest-growing private companies — named to Inc. magazine’s annual Inc. 500|5000 list for three consecutive years. To find out why, visit our research pages. 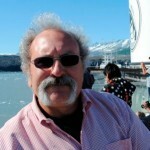 If you would like to read a Bach to Rock franchise review, please visit our blog. To learn even more, fill out a form to download our free franchise report, and someone will call you to start a conversation. We look forward to speaking with you!